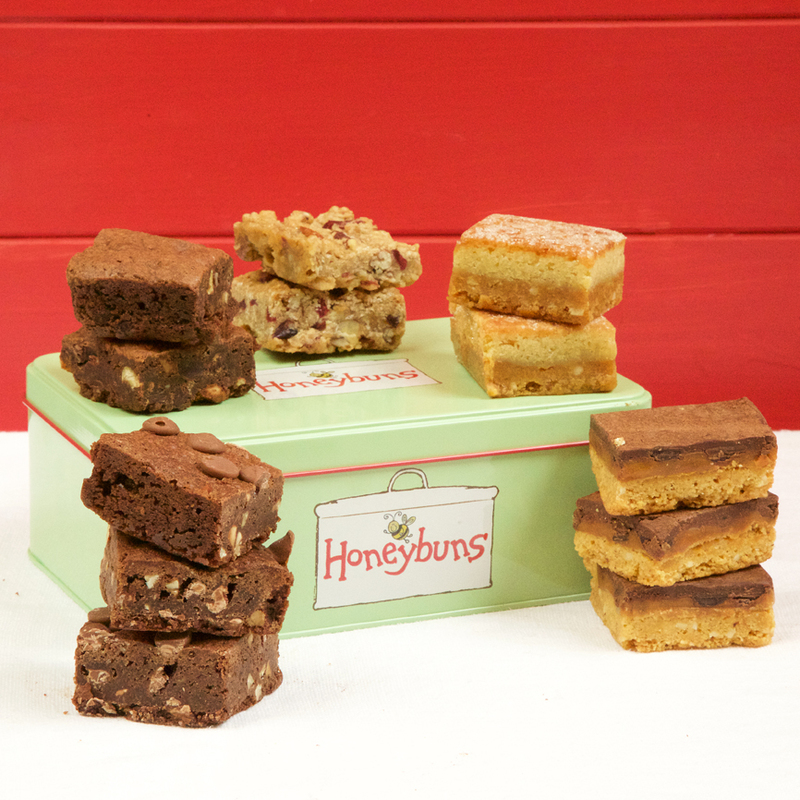 A gift tin containing 12 gluten-free Honeybuns mini cakes. "I received a tin of your mini selection as a gift. They are without doubt the best gluten free treats I have ever tasted," R.T.
"OMG.....my new found favourites!!!!! Had a tin for Christmas and have to say it was one of our fave gifts!!!!! Love them..... love them .....love them! !," M.B.